André and Selma are a couple and a couple of wedding photographers. They have both been taking photographs in a personal capacity but since completing a photography course, they have been photographing professionally for the past eight years. Nothing makes these two happier than being able to document the love, emotion and fun of a wedding day. There is something very special about capturing people in their most honest of moments. 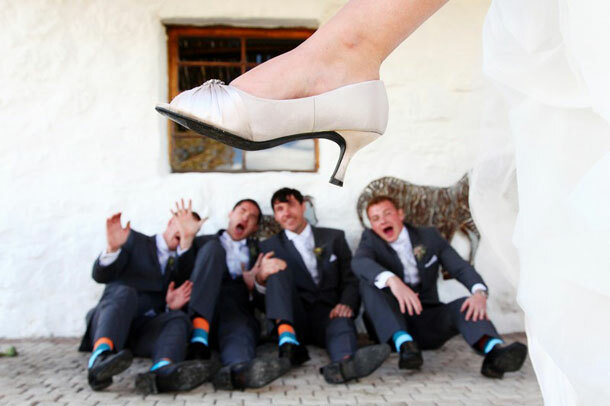 They are proud of the fact that their relaxed approach encourages spontaneity and are happiest when they can capture our wedding couples simply enjoying their day to the fullest. This results in images that are both authentic and artistic, but at the same time, tell the story of your day as it unfolds. Their photography is natural and elegant, creative and timeless, but most of all it captures the joy and excitement of your special day for a lifetime. Although there are elements of a photojournalistic style to their photography, after photographing more than 300 weddings, André and Selma have come to realize the important role your wedding photographer plays in directing certain moments of your big day. When your photographer and your wedding couple gel, magic happens. André and Selma love telling people’s stories. There is very little on earth that gets them more excited than creating something new. Each wedding is an opportunity to create images that are not only new and unique, but capture the beauty of the wedding couple on their most important day. They work as a ‘team’ ensuring that your wedding day is covered from all angles. Interesting backdrops, gorgeous colours and stolen moments make us smile. To book this couple telephone Selma on +27 (0)84 599-0902. Alternatively for further details or to send an enquiry visit Expressions Photography. I am so happy that they reside in Cape Town! Yes!! !